Rocket Lab conducted its first successful commercial launch on November 10, putting six satellites into orbit. The “It’s Business Time” mission was launched on time at 10:50 PM Eastern Time, the beginning of its launch window. Satellites were put into orbit for Spire Global, Fleet Space Technologies, GeoOptics and the Irvine CubeSat Stem Program. In addition, the Rocket Lab Curie kick-stage also carried a drag sail technology demonstrator built by High Performance Space Structure Systems GmbH to accelerate its re-entry and disposal. Spire Global had a pair of Lemur-2 cubesats onboard. The Lemur-2 satellite is a 3U cubesat and performs ADS-B aircraft tracking, AIS ship tracking, and GPS radio occultation (RO) collection for improved weather data. Spire has over 60 plus operational LEMUR satellites in orbit and plans to grow its constellation up to 150 or so satellites in its final configuration. More Lemur-2 satellites are expected to reach orbit onboard an India PSLV launch to take place on November 26. Internet of Things (IoT) start-up Fleet Space Technologies now has a pair of 1.5U cubesats in orbit. Proxima I and II are being used for commercial tests of Fleet’s software-defined radios capable of moving data in both S-band and L-band frequencies. The two satellites were part of a rapid response effort by Fleet to take advantage of open space onboard the Electron launch. Two 3U Centauri satellites are scheduled to be launched later this month, one onboard the Spaceflight SpaceX SSO-A rideshare mission and the other on the November 26 PSLV launch. Fleet plans to have a commercial constellation of “more than” 100 satellites for its IoT service. The GeoOptics Cicero-10 satellite is a 6U cubesat built by Tyvak Nano-Satellite Systems (A division of secretive Terran Orbital). CICERO uses both U.S. GPS and Galileo signals for RO data collection. A total of 24 or more CICERO satellites could be flown to provide high-quality granular data for weather forecasting, climate research, and space weather monitoring. Rounding out the six pack is IRVINE01, a 1U cubesat built by Southern California high school students. IRVINE01 incorporates a camera, an experimental UV-LED optical communications package, and the first flight of Accion Systems electrical propulsion system. 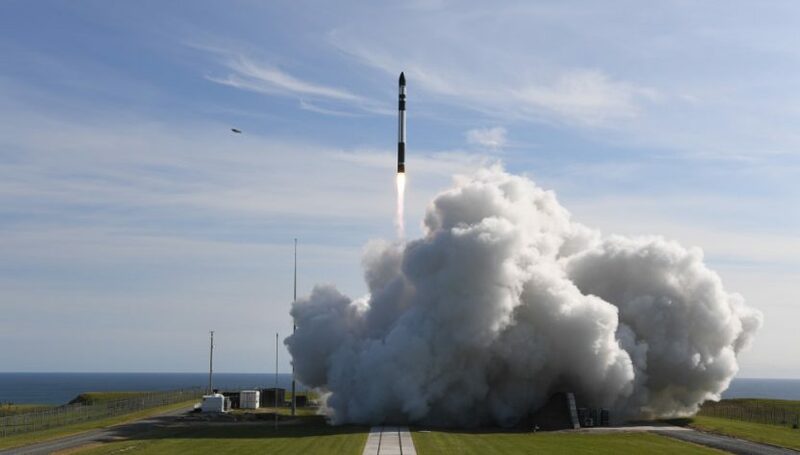 Rocket Lab is touting its most recent launch as the beginning of high-frequency operations in 2019. The company recently opened a new factory in New Zealand capable of producing 50 or more Electron rockets per year. It’s LC-1 complex is licensed to launch up to 120 times per year – every 72 hours and the company is adding the LC-2 complex at NASA Wallops Island Flight Facility in Virginia to support up to 12 flights per year. Next up on the small satellite commercial launch manifest is the Spaceflight SSO-A mission being flown on a SpaceX Falcon 9 rocket out of Vandenberg Air Force Base. The SSO-A mission will carry over 70 satellites into orbit and is scheduled to take place on November 19, 2018.